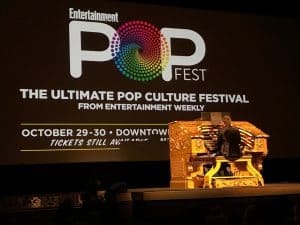 Notes from the Editors: Godolphin, a member of the FoCC Forum is attending Entertainment Weekly’s Popfest and has agreed to share his experience throughout the weekend. We will update this post with additional content as the weekend progresses. I attended the Friday night Doctor Strange screening at the historic El Capitan movie theater palace in Hollywood. This theater first opened in 1926. The was open to the first 300 EW Popfest weekend VIP ticket buyers. The doors opened at 6pm. 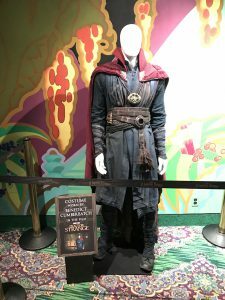 There was one costume on display, plus free drinks and popcorn in a Doctor Strange souvenir container. 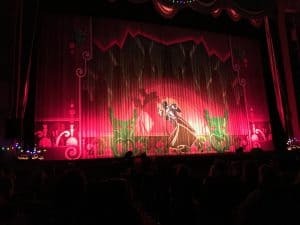 At 6.30pm the classic Wurlitzer organ rose up from beneath the stage and the organist Rob Richards proceeded to play 30 minutes of various famous movie theme tunes. The movie was about to begin, but first we saw the curtain show to unveil the movie screen, which was quite a production in itself. I thought the movie was very good; I’d give it about 8 out of 10. I hate spoilers, so the only thing I’ll say, is to make sure you stay to the very end of the credits if you go see it. 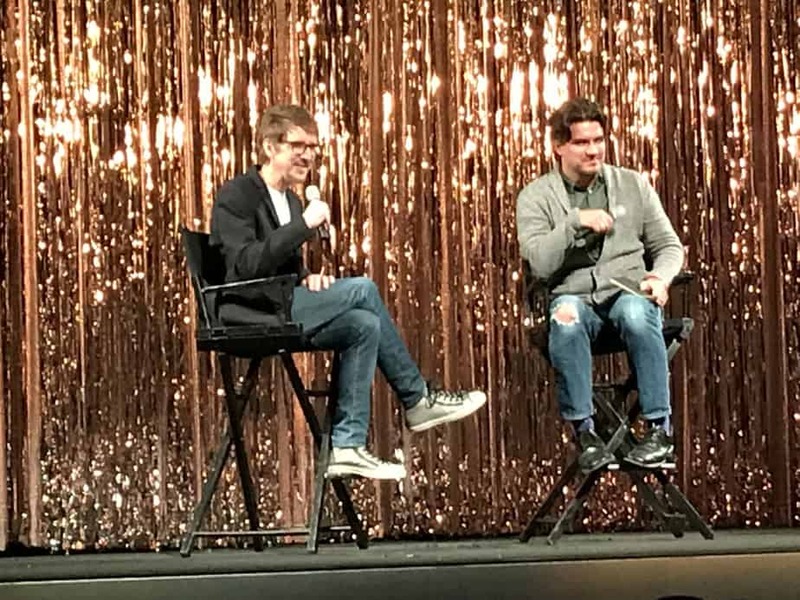 After the movie there was a Q&A with the director/writer Scott Derrickson, moderated by Anthony Breznican from Entertainment Weekly. Scott is known for directing and writing horror films, and one particular insight he gave into his script writing methods was that he writes the script and then reads it back, leaving out all the scary/horror scenes. This way he can see just the scenes of the character development and can rewrite from there. 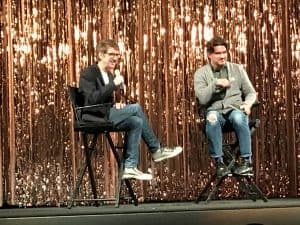 He went on to say that for him this is the most important part of writing horror films: to make sure that the audience cares about these characters before the scary stuff happens to them. This was also why he was able to get someone like Laura Linney to sign on for the Exorcism of Emily Rose.